cops went door to door with fake cell device to find one man – PrivacyCase™ - The Original Privacy Case For Your Cell Phone. Best picture yet of how police use "stingrays." In the early morning hours of September 13, 2008, a woman notified the Tallahassee Police Department (TPD) that she had been raped and that her purse, containing her mobile phone, had been stolen. Within 24 hours, the Florida capital’s police had contacted Verizon and obtained real-time ping information, which gave the police a “general area” where they might find the phone and thus, hopefully, the perpetrator of the crime. But that general area still covered plenty of ground—where exactly was the phone? To answer that question, the cops deployed a secretive device called a stingray, which operates as a fake cell phone tower used to track targeted phones. 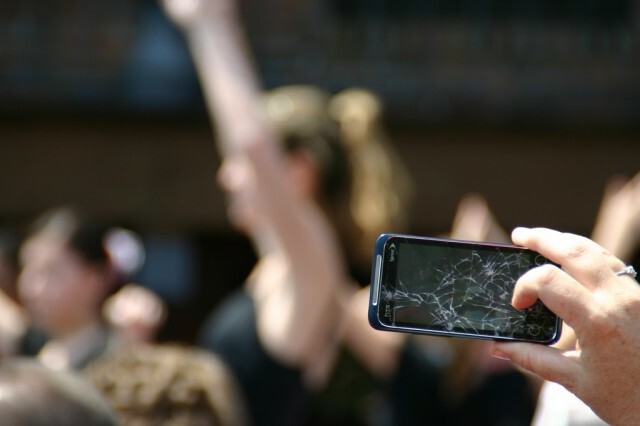 Though law enforcement typically fights attempts to learn how stingrays work or how often they are used, a court victory by the American Civil Liberties Union (ACLU) has just unsealed Tallahassee police testimony of exactly how the 2008 cell phone hunt happened. This newly released transcript (PDF) provides what is likely the first-ever verbatim account of how stingrays are used in actual police operations. And it shows that stingrays are so accurate, they can pinpoint the very room in which a phone is located. "Every door and every window"
Such searches are controversial in part because stingrays necessarily capture data about all other compatible phones nearby. Christopher Corbitt noted that the gear evaluates "all the handsets in the area" as it searches for its target. When in use, stingrays force a connected phone to transmit at full power—depleting a handset’s battery faster than normal. The vehicle-based tracking eventually pointed to a particular apartment complex called Berkshire Manor, but police still had no idea which apartment might house the phone (and, hopefully, the woman's attacker). Corbitt deployed a team of officers with a handheld stingray to scour the complex. “Using portable equipment, we were able to actually basically stand at every door and every window in that complex and determine, with relative certainty you know, the particular area of the apartment that that handset was emanating from,” Corbitt told the court. Such searches are common; Corbitt said he had personally used the equipment “200 or more times” and that it worked with “100 percent” accuracy. Eventually, Corbitt and his colleagues detected the phone inside apartment 251, the residence of a woman who was also hosting her boyfriend, the suspect James Thomas. Officers knocked on the door; when it opened, one inserted his foot in the opening to keep it from being closed again. Police then conducted a "protective sweep" of the apartment and waited while a search warrant was obtained. Police did find the victim’s phone, purse, underwear, and ID card at the apartment, but was their "protective sweep" justified in the name of "exigent circumstances?" For investigators, the move had seemed necessary to prevent the destruction of evidence. At trial, the judge agreed and denied Thomas' motion to suppress the search evidence; Thomas was eventually convicted. Late last year, however, a state appellate court overturned that conviction on the grounds that the search had been improper (though without commenting specifically on the use of a stingray). It ordered a new trial. “Testimony that a cell phone could be flushed down the toilet does not meet the test [of exigent circumstances],” the District Court of Appeal for Florida, First District, found, in a two to one decision. In an interview with Ars, ACLU attorney Nathan Freed Wessler said that having this level of detail about a stingray was highly unusual. The Tallahassee Police Department did not immediately respond to our request for comment. However, TPD Chief Michael DeLeo told the Tallahassee Democrat newspaper in March 2014 that he had ordered a full review of all incidents involving stingrays. “My first concern as the new chief is what are we doing right now, are we doing it properly, do we need to change how we are doing it,” the paper quoted him as saying. An initial inquiry of the cases from 2013, he noted, showed that warrants were obtained in 90 percent of the cases; the remainder involved emergency cases. “What I’m seeing right now is the same process that is applied to any other search by the police department is being followed,” he said. Still, the main issue that the ACLU has with this technology, as is the case with similar new digital surveillance tools, is that they might function more like "general warrants" than specific searches. Legal experts not involved in the ACLU’s efforts were equally surprised as to the newly revealed information. “The information that’s most interesting to me is the specific details of how the stingray was used in this case specifically (via two stingray devices, one mounted on a car and one handheld device) and the frequency by which Tallahassee police have used the device,” Hanni Fakhoury, a staff attorney at the Electronic Frontier Foundation, told Ars by e-mail.